Linked to ABC Wednesday, Wordless Wednesday, Sepia Scene, Faded Charm. 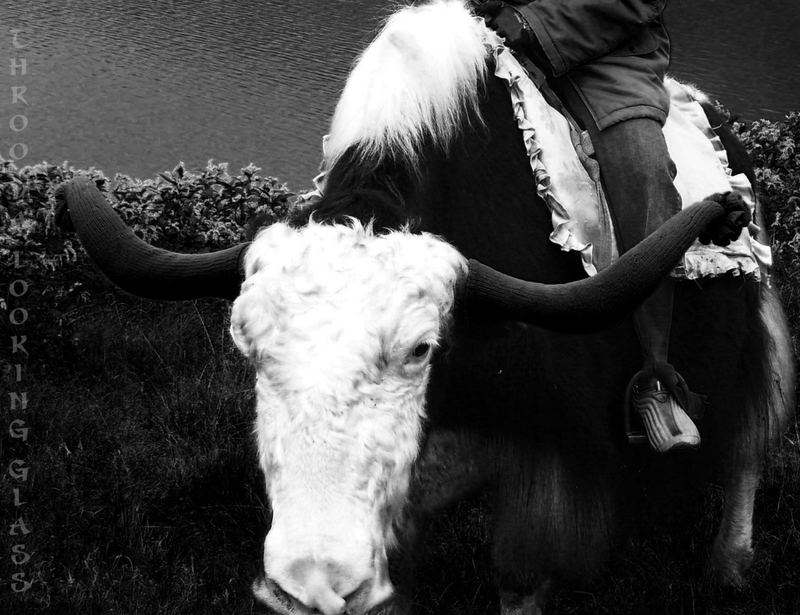 Awesome photo of a yak. Its so exotic. It looks like a BIG animal! Perfect choice for today! And a great photo from a place that seems so far away and exotic to me ever since Hope Cooke. lovely, yak and not yucky! I love that garment on the horn, how do you call that? Mittens are for hands, hats are for heads, what about for horns? haha! So I wonder how a yak is different from its close relatives. I had thought of using Yak as my word this week.